The cat fights are normally reserved for the Oscars, but it's the Golden Collar that seems to have got the claws out this year. Uggie from the black and white movie the Artist has been getting all the pats on the back from the media so far - but director of rival Oscar blockbuster movie Hugo, Martin Scorsese thinks his leading dog is the better actor. He has a point, Uggie played Jack who is pretty much indistinguishable from Uggie in real life. He's a cute dog that does tricks - not exactly stretching his art. 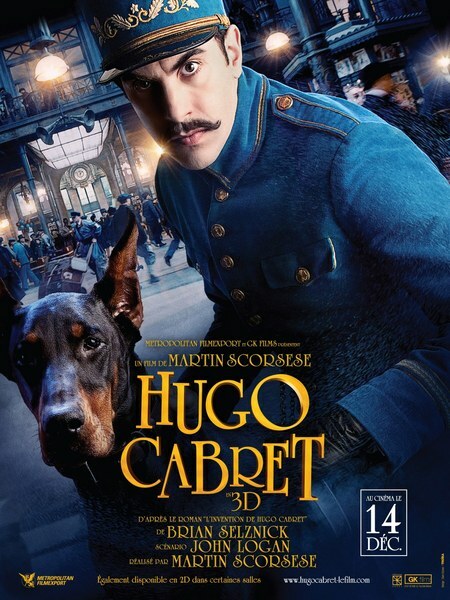 Female Dobermann Blackie in Hugo gives a powerful and controlled performance as a menacing orphan-chasing sidekick to Sacha Baron Cohen's lame station master. In an open letter to the Los Angeles Times, Scorsese wrote: "I have been cautioned against speaking out on this issue lest I create the appearance of churlishness. Well, I'm going to have to risk it. One recent morning, I turned on the television, and imagine my surprise when I heard the nominations for the first Golden Collar Awards for Best Dog in a Theatrical Film. "After all, we had Blackie the Dobermann in our movie. How could she not be nominated? 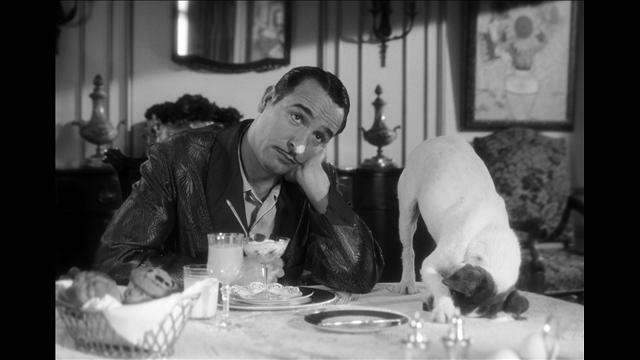 I listened in vain for Blackie's name to be called, and then to all the hullabaloo over a certain Jack Russell terrier named Uggie. Uggie is so adorable that he received two nominations for two separate pictures. Well done. OK, let's lay all our cards on the table. Jack Russell terriers are small and cute. Dobermans are enormous and - handsome. "More tellingly, Uggie plays a nice little mascot who does tricks and saves his master's life in one of the films, while Blackie gives an uncompromising performance as a ferocious guard dog who terrorises children. I'm sure you can see what I'm driving at." Hewent on: "I detect another, more deep-seated prejudice at work. Jack Russell terriers were bred in the 19th century for the purposes of fox hunting by an Englishman, the Reverend John Russell. Dobermans were bred by a German tax collector who was afraid of being bludgeoned to death by the citizenry. But does that mean we must condemn the entire breed?" He concluded: "In short, I protest the omission of Blackie the Dobermann from the first Golden Collar nominations. Moreover, I encourage all Times readers to make their preference known to the editors of Dog News Daily by write-in ballot and give Blackie the nomination she so richly deserves." Dog News Daily has caved in and allowed Blackie onto the short list. My issue lies with the use of plastic surgery to enhance Blackie's appearance. Those ears are the result of surgery - not training. So which is the better actor? I've seen both films and I much preferred Hugo as a movie - but for me Uggie is the canine George Clooney - always playing pretty much the same part in every film, but undeniably gorgeous and likable - or should that be lickable? Blackie is the Meryl Streep. A proper old school actor ready to take on difficult and unpopular roles. But Blackie needs to be careful she doesn't get typecast - perhaps taking on the doggie equivalent of Mamma Mia next to show her versatility? Who gets the Golden Collar? I say there should be a best male and female award - like there are for two legged actors. And not a collar, that's all about ownership - the talent of the teacher not the pupil. Perhaps it should be the Golden Sausage - after all that's what BAFTA said was the canine actors' real motivation when they excluded canine nominations this year. I doubt the dogs give a damn, as long as they continue to get their real sausages. I'm amused by the idea that human Oscar nominees are motivated solely by their art, and not the click and treat of praise from the director, adulation from the public, and very, very large fees negotiated by their agents! is this what an Ethical dog publication has to print?